I read the first of these a while back and reviewed it on here. I really liked it and when I saw this I had to pick it up and give it a read. From the outset de Soto explains that this is not going to be a detailed book covering the ins and outs of coding and the technicalities of web design. Instead, it goes through the process of web design, gives some good guidelines and some good basic design practice. And that’s brilliant – exactly what I wanted. There is also a good glossary of colloquialisms, conventions, technology etc. at the back, making this a good reference book to dip into during a project as well as reading through from cover to cover. 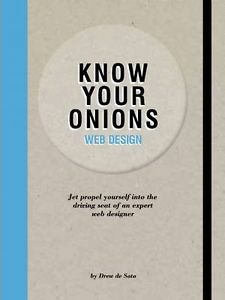 A definite recommendation for anyone involved in the web design business!